Just because your little one is always in babygrows, doesn't mean you can't have fun dressing him in them. Here are a few of my current favourites! JoJo Maman Bébé make some absolutely adorable baby clothes and our little one looks super cute in their Breton stripe sleep suit in blue (they also do a pink version). It is a real classic and, with its incorporated scratch mitts, is perfect for him to snuggle up to sleep in. We love it so much, we have it in two different sizes! We all remember the picture book from our own childhood and if there had been an accompanying babygrow set, we'd all have been dressed in it. So when I spied this cutie I had to snap it up! 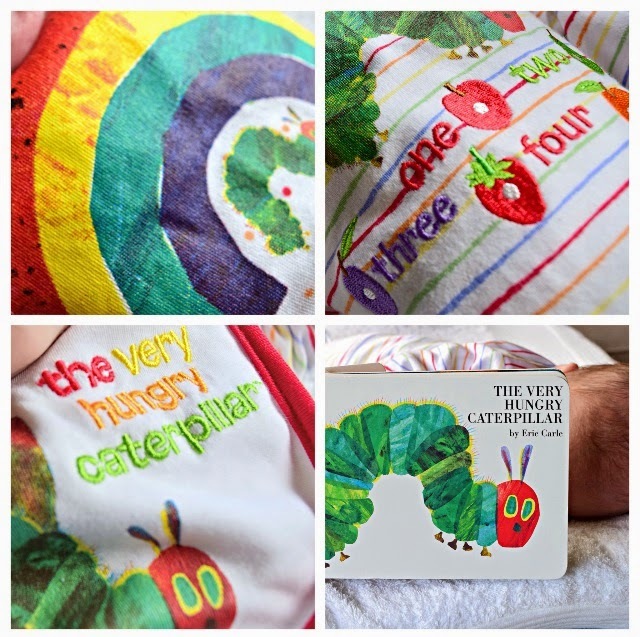 The Very Hungry Caterpillar three piece set is delightfully nostalgic and I can't help but smile each time I dress our little one in it! Debenhams have some great designers in store and their baby ranges are no different. 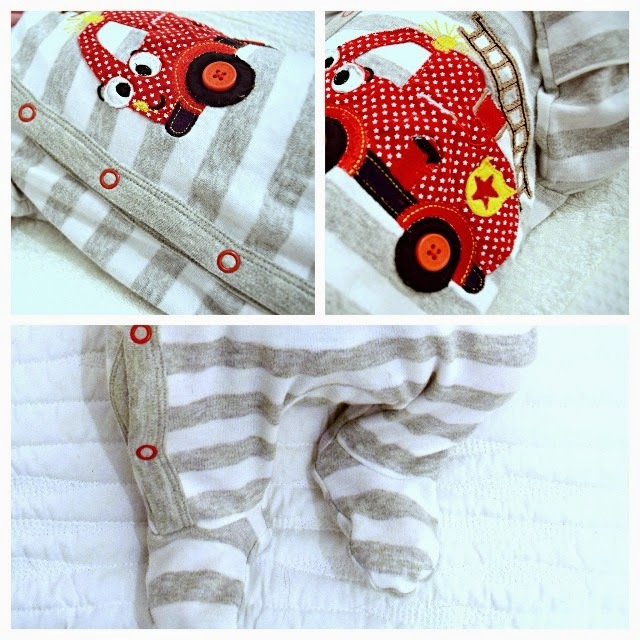 I fell in love with this bluezoo grey appliqué fire engine sleepsuit. I love the fun design with its buttons for wheels which add instant character! I have loved The White Company for years, so the excuse to start buying their baby clothes is too much of a lure to resist. 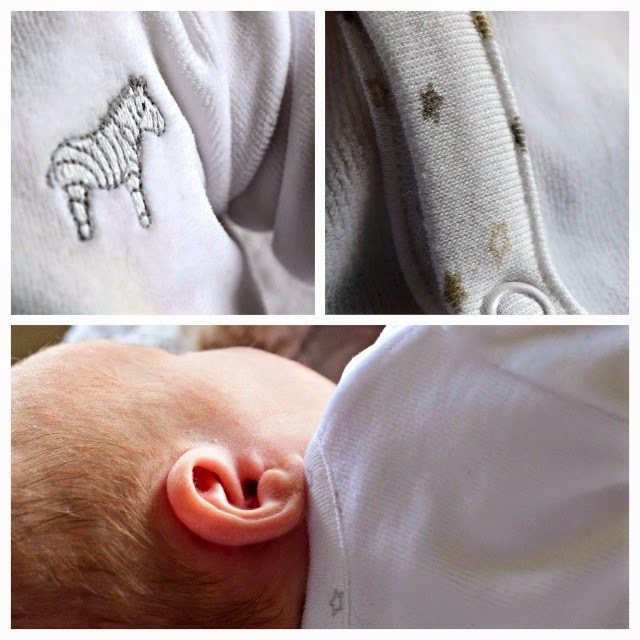 The Little White Company colours are, mostly, as muted as you'd expect from them and our little boy looks absolutely angelic in his zebra velour baby sleepsuit. It's in the sale now and most sizes are gone, but their new season has some equally gorgeous ones in similar designs if you missed out - I've got my eye on the tiny anchor design for when our baby outgrows this one. 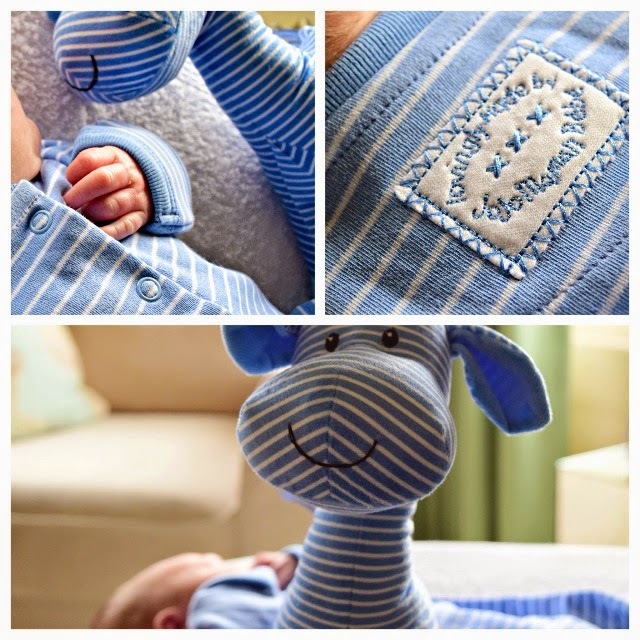 They're perfect to keep your little one snug in the winter months still ahead (sorry! ).